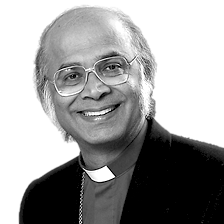 Previously the 106th Bishop of Rochester, he is originally from Asia and was the first non-white Diocesan Bishop in the Church of England. He was appointed in 1994. Before that he was the General Secretary of CMS from 1989-1994. He holds both British and Pakistani citizenship and since 1999 has been a member of the House of Lords where he has been active in a number of areas of national and international concern. He has both a Christian and a Muslim family background. Bishop Michael preached at the evening Holy Eucharist Service on Sunday, November 15th and delivered his lecture, “Conflict & Conviction: Islam, Christianity & World Order” the evening of Monday, November 16th, 2009.